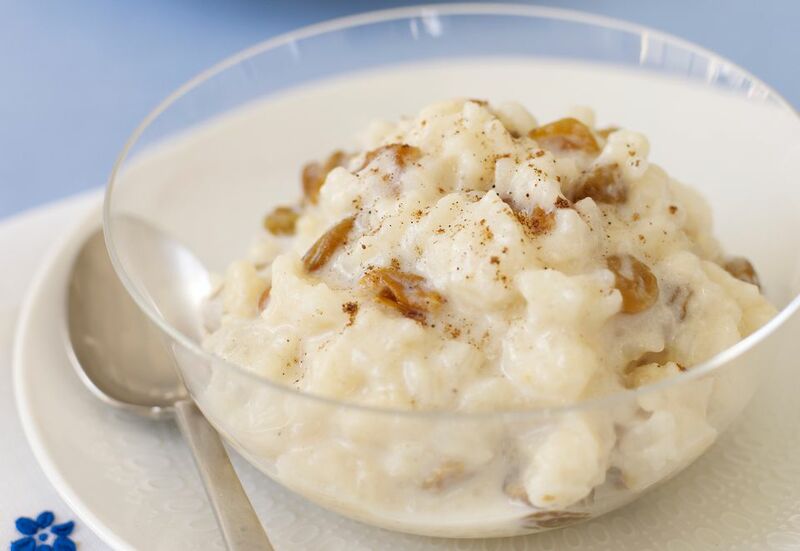 This easy rice pudding recipe is perfectly flavored with vanilla, raisins, and spices. The pudding is a custard-like dessert made rich and creamy with eggs and milk. The pudding is versatile as well. Add a pinch of nutmeg to the pudding or replace the raisins with dried cranberries or blueberries. Chopped apricots or dates could be substituted as well. Top the pudding with cinnamon sugar and chopped toasted pecans, if desired, or serve with freshly whipped cream or whipped topping. Heat the oven to 350 F (180 C/Gas 4). Butter a 1 1/2- to 2-quart shallow baking dish or spray it with nonstick cooking spray. In a large mixing bowl, combine the rice with the granulated sugar, the beaten eggs, milk, vanilla, raisins, and cinnamon. Blend well with a spoon. Bake the pudding in the preheated oven for about 30 to 35 minutes, or until set. *Cinnamon Sugar - Combine about 1 tablespoon of granulated sugar with 1/4 teaspoon of ground cinnamon. Sprinkle a small amount over each serving of rice pudding. Use whole milk or part cream milk for a richer pudding. Replace the raisins with chopped dates, chopped dried apricots, dried cranberries, dried blueberries, or other dried fruit. Garnish the pudding with whipped cream or whipped topping and a sprinkling of toasted pecans, cinnamon-sugar, or toasted coconut.